Welcome to our January New Release post! Our January New Releases are now available for purchase, click here to order from our website! You can also call Josh at 877-451-4909 to place your phone order. **Please note that our contest giveaways have been moved to our Social Media Pages, be sure to follow us on Facebook and Instagram as we will be posting special prize giveaways there! Happy New Year! I hope you have a healthy, happy and blessed 2018! Now that the Christmas season has ended it is time to get your craft on! 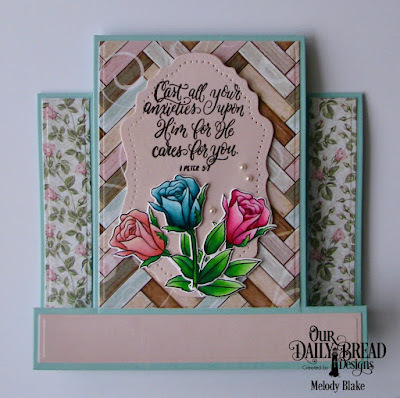 We have some gorgeous floral stamp sets, two new 3D fun fold card dies and a beautiful paper pad this month. 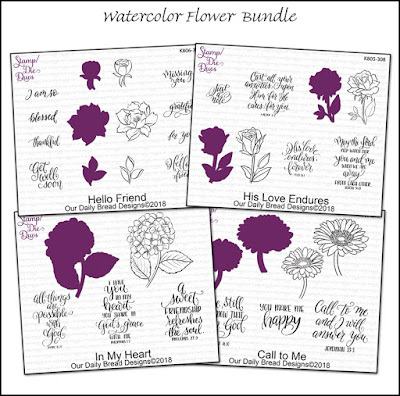 Diana Nguyen, from the ODBD Design Team, has drawn and hand lettered each of the floral sets this month and we just love them. 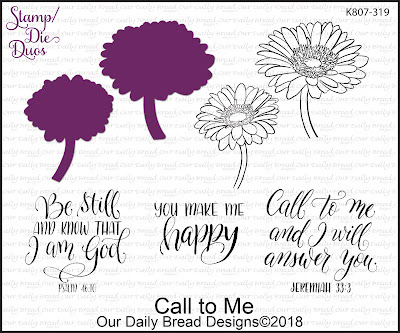 Diana has also designed the My Soul Thirsts stamp set from 2016. Thanks, Diana, for these pretty sets! 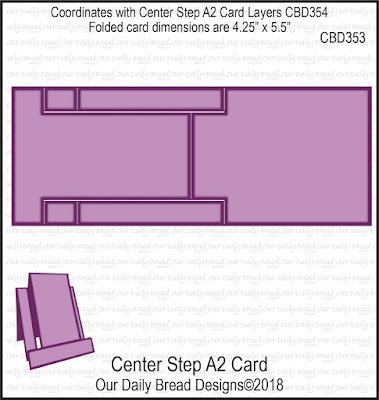 All our 3D and Fun Fold Card die sets are so extremely popular! 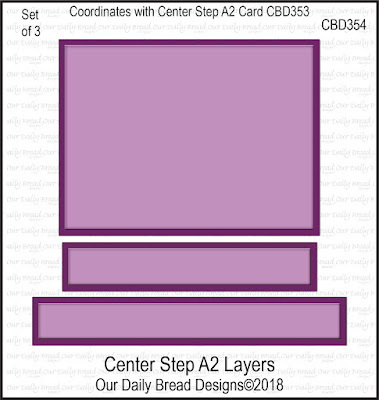 We receive many requests for a Center Step die and I just couldn't decide if we should manufacture the standard Center Step, or make an A2 sized Center Step die - so we made both! Buy one or both for extra versatility! 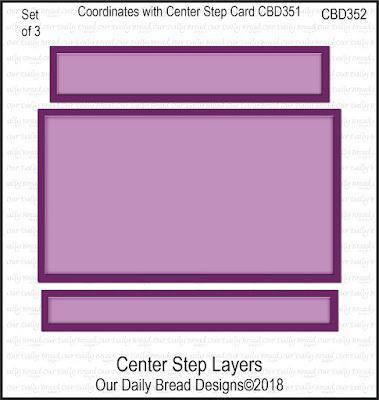 We also have available the coordinating layering dies for each size. They sure take all the trouble and work out of measuring and cutting. 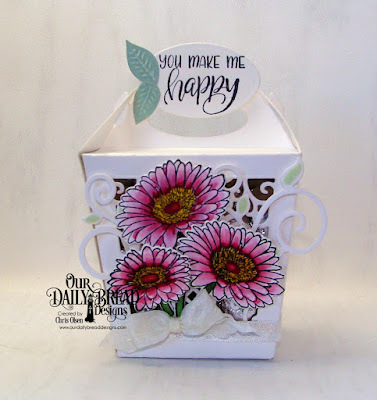 So much easier to run them through your die cutting machine!! 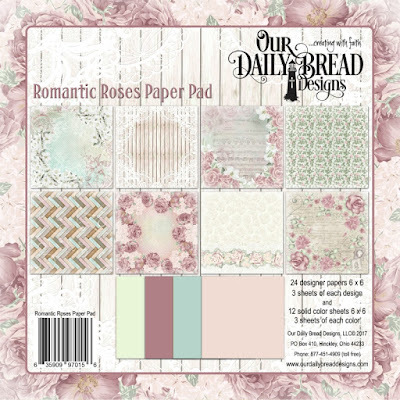 Our Blushing Rose and Shabby Rose paper pads are our most popular paper pads, and customers were asking for more pads with the same theme, so we have this awesome soft and vintage floral theme for you to add to your paper stash! 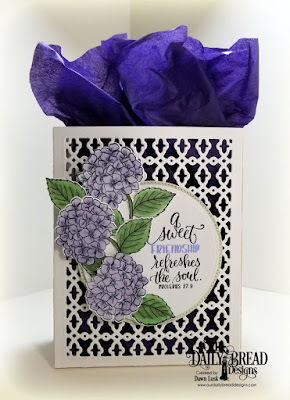 What a beautiful new release! Thanks for sharing! Happy New Year, everyone!!! 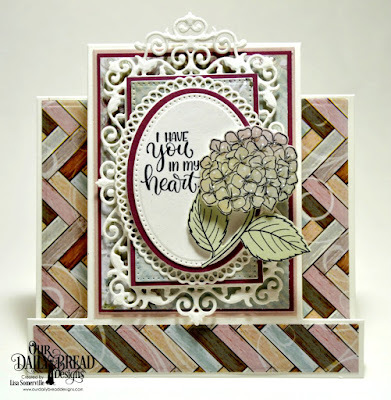 Thanks for another awesome release.....I am having a blast with these new gorgeous sets! 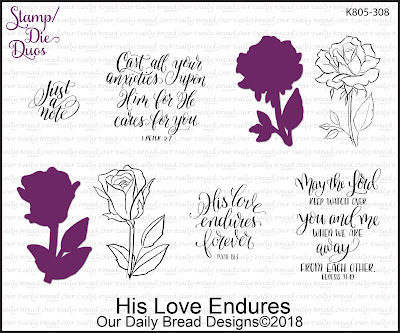 Diana, keep on designing stamps....these are amazing!!! Fabulous samples, girls!! HUGS!!! 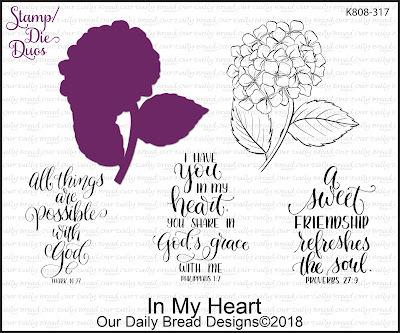 HAPPY NEW YEAR to Our Daily Bread Designs Family! 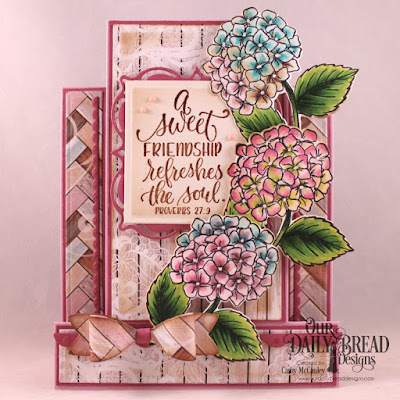 This January new release stamps and dies are AMAZING and GORGEOUS. 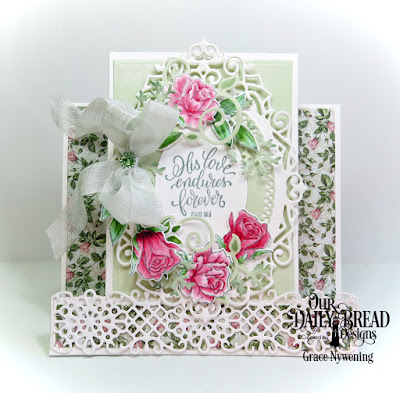 I love the fresh and beautiful flowers and the encouraging sentiments on each set. 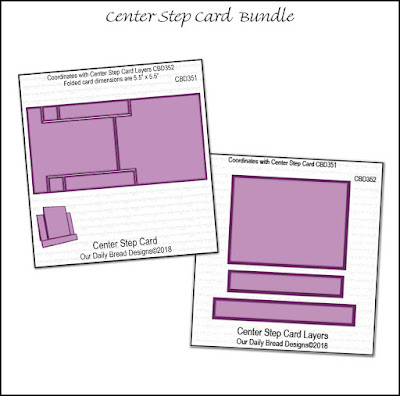 The center step card dies are fabulous. Thank you for all the beautiful inspirations. 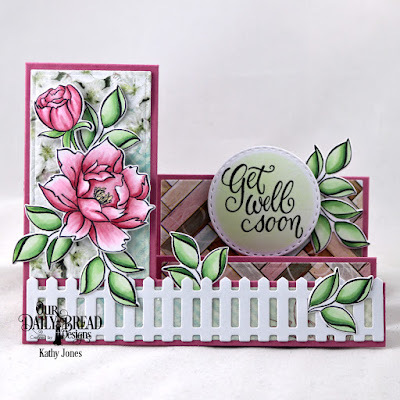 Very pretty flowers and papers and I like the step cards. Happy New Year! 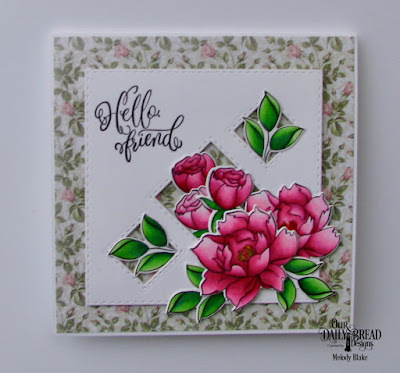 The new stamps and dies are awesome. I love what the DT has created.